"Cinema is entertainment and people go to the movies because they want to feel good and forget about everything." I'm pretty sure not everyone would agree with Vincent Cassel. Do you? Many movie producers must not, given the plethora of movies that could not possibly leave people feeling good. This is a point of view about movies that my dad had, and truthfully, so do I. So I was surprised to find that the French actor, Vincent Cassel, who I thought was probably of my generation, was born in the 60's, just a couple years before Midnight Cowboy arrived on the scene in l969. R rated, gritty and certainly not a feel good movie, Midnight Cowboy won the Academy Award that year and ushered in a more realistic approach to movie making. An approach that left my dad, and I suspect others of his generation, wondering how Abbott and Costello, Gene Kelly and Fred Astaire, Crosby and Hope could suddenly go out of vogue. In the years that followed, I think the only movie he went to see in the theater was The Sound of Music. All other movies he and Mom saw were rented and probably not produced later than 1950, the exception being Philadelphia, but that's a story for another time. I was raised on musicals, comedies and film noir. Every Christmas we watched White Christmas, The March of the Wooden Soldiers, and the black and white version of A Christmas Carol with Alistair Sims. Not surprising, when I battled breast cancer, I turned to old Fred Astaire and Gene Kelly musicals, the Crosby and Hope Road movies, and anything with the classic female actresses of the 40's, to help me forget. Movie marathons, especially during the weeks of chemo when I could barely lift my head off the pillow. More than once, I thanked heaven for TNT and the other channels that show the oldies but goodies. Not that I don't count Schindler's List, The Color Purple, and Philadelphia among my favorite all time movies, but the last thing I wanted when I was sick and frightened was another heavy dose of reality. Why am I giving all this background? Because I am about to praise a movie John and I saw this past weekend and if you do not share the opinion that a good movie is one that leaves you feeling good, and forgetting about everything else, at least for those 120 minutes or so that you stare at the screen, then this endorsement won't mean much. The movie - Going in Style. 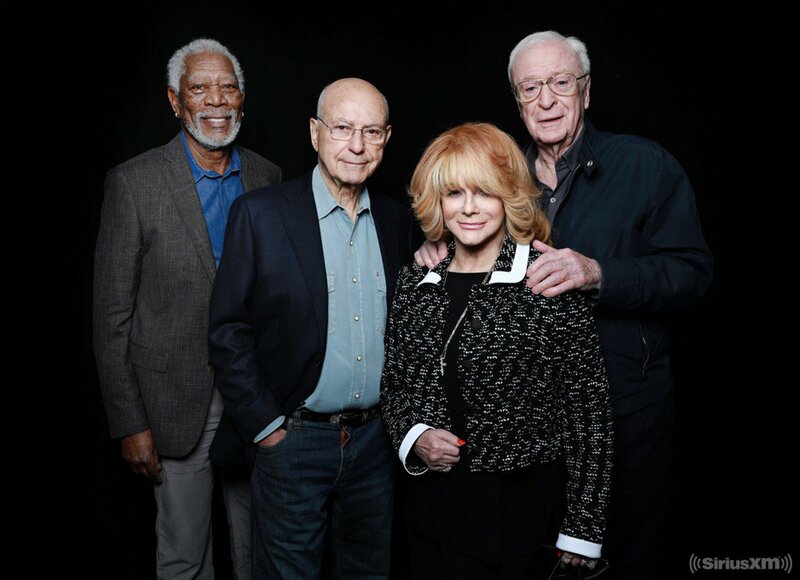 The cast, Michael Caine who plays Joe Harding, Morgan Freeman who plays Willie Davis, and Alan Arkin who plays Albert Garner. Caine and Freeman are now in their early 80's, Arkin is 79 - the perfect casting for a tale of three old friends who had worked together for the same company for 40 years, live across from one another, and share most evenings watching TV. When they learn that the pension each needs for basic survival is being raided to pay off company debts, and the bank that will help restructure the debt is foreclosing on Joe's mortgage, they decide to rob the bank. Just enough to cover their pensions and save Joe's house. The rest to go to charities. You can go on-line and read more about the plot, and check out the reviews. I'm glad I did after I saw the movie, because the reviews, probably written by folks 20 to 30 years younger than I am, were lukewarm. While the reviewers unanimously applauded the skill and experience of the cast, many called the plot formulaic and for the most part, predictable. And, I would admit, it was, with one exception. But I, for one, appreciated the presentation of these aging characters, who still feel strong emotions, think significant thoughts, and can strategize to solve a problem. Joe and Willy and Al are far from the stereotypical image of elderly who need walkers and hearing aids, sit around commiserating on their aches and pains, and count on the largess of the young. Although, they do face other challenges of aging that usually are not given much big screen time, like taking care of family in their old age and wondering if they will have enough money for another ten or fifteen years, they are charming, and occasionally funny enough to evoke laugh out loud guffaws. Above all, they are still vital, still relevant. And it was such a joy to watch these veteran actors demonstrate their craft, so well that one would wonder if the on-screen camaraderie could possibly be just an act. So, last Saturday, John and I sat in a darkened theater and watched three of our favorite actors do their thing and do it so well that for 1 hour and 36 minutes we forgot that we are fighting for his life, that he had a tough week, or that North Korea is threatening to bomb us. We laughed out loud now and then, held hands in the darkness as we first did over 30 years ago, and walked out of the theater feeling better than when we walked in. That may not be enough for sophisticated movie reviewers, but for us, this why we go to the cinema. If you give this film a shot, I'd love to know your reaction. "Perseverance is failing 19 times and succeeding the 20th." 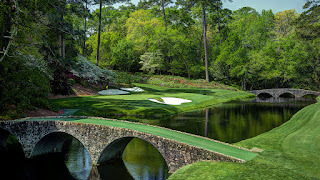 This past weekend, I watched the Masters Golf Tournament with John. I'm not a golfer, not even a sports enthusiast, but I enjoy watching golf. And I think John enjoys having me watch with him. That's a good thing, because as our world becomes smaller and smaller, and we are with each other almost 24/7, finding things we enjoy together has become more imperative. I'm enjoying learning more about golf, about the nuances of the sport, its rich history and protocols, the various tournaments and courses, and above all, the golfers. Perhaps, its the legacy of growing up with Arnie and Jack, their ups and downs, their families, their charities, watching them age along with us. Perhaps its the relative absence of scandal and notoriety in the sport. (I did say relative absence.) And the presence of families, in some cases generations of families. This sport speaks to my values as well as my history. I now root for a couple youngsters - Ricky Fowler and Jason Day - and am particularly fond of the Spanish veteran, Sergio Garcia, who has had the reputation of being the best golfer who has never won a major PGA tournament. So Sunday found me cheering for him, hoping against hope that he would finally win his first major, and not just any tournament, but the revered Masters, the tournament that has plagued him for the 19, yes, 19 years, in which he has competed. "I hope he wins. Please let him win. Come on Sergio. You can do it, Sergio." And he did. He played his way into the lead, was overtaken, fought back to a tie, and finally won by two strokes in the playoff. And the crowd roared - Sergio, Sergio, Sergio. The obvious answer is that I often cheer for the underdog, but in this case it is more than that, much more. I admire his perseverance, his tenacity. Nineteen years and he plays with the same competitive passion as he did the first year I watched him. I respect the respect he shows for his mentors. 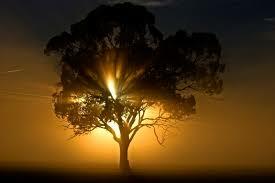 Proteges often forget those who taught, and supported, and encouraged. He never does. I applaud his loyalty - his coach is his father, always has been. Even when Sergio grew discouraged and almost quit the sport, he never abandoned his dad, just worked harder. And what he apparently worked on was his mental game. That may be what I admire the most. That he looked inward, and grew not just as a golfer, but a man. Perseverance, respect, loyalty, hard work, personal responsibility. In this day when the news is filled with dysfunction and greed, venom and vitriol, murder and mayhem, it was such a joy to watch someone achieve his dream because he is talented and diligent. To hear him graciously, sincerely acknowledge his family and mentors. To see his joy and gratitude. To see the respect shown between the players and the crowds. To listen to thoughtful, nuanced commentary. To celebrate. To be reminded that this is still possible.